The state of Chile supports economic activities, entrepreneurship, innovation and the competitiveness of all companies, regardless of their origin, through special norms and benefits that are available to companies legally constituted in the country. Companies operating in Chile have access to a broad national network for the promotion of entrepreneurship, innovation and research. It is formed by a series of government agencies that offer different programs of support. The most important agencies are CORFO, ProChile and SENCE. Under Chilean law, a tax benefit is available for investment in R&D, consisting in the right to a credit against First Category Tax of up to 35% of the amount devoted to R&D activities. These activities can be undertaken directly by the company, with the support of third parties or hired out to a specialized center registered with the government’s Economic Development Agency (CORFO). 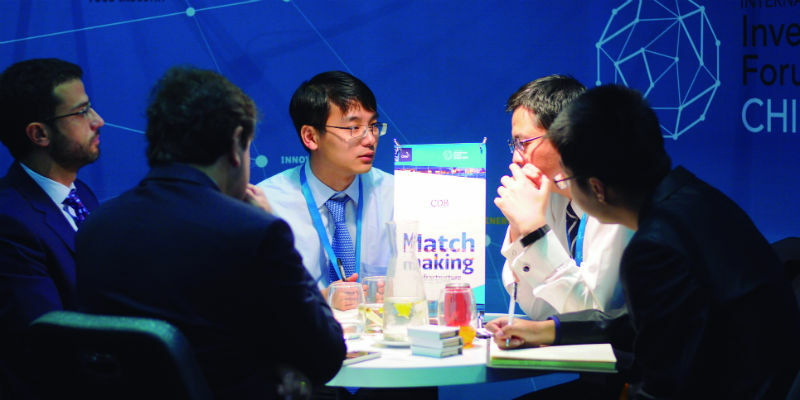 A number of Incentives for overseas companies are available from CORFO. The most important are the non-repayable subsidies for pre-investment studies, designed to facilitate and accelerate an investor’s decision-making process, and the co-financing available for the implementation or expansion of technological investment projects. Investment subsidy (subsidy for investments by small and mid-sized companies whose annual sales do not exceed US$1.5 million; equivalent to 20% of the amount invested). 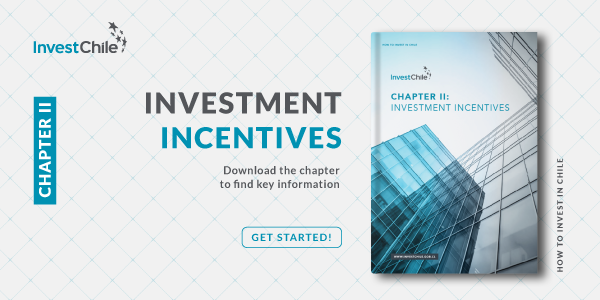 For more about the incentives for foreign investment in Chile, download this chapter of our Investor’s Guide.